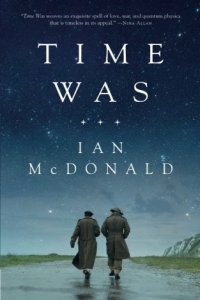 Time Was, Ian McDonald (Tor.com 978-0-7653-9146-9, $14.99, 144pp, tp) April 2018. Throughout his career, Ian McDonald has demon­strated a remarkable versatility of style and language. His recent fiction has ranged from the YA sense-of-wonder exuberance of his parallel-world Everness series to the efficient social melodrama narration of the Luna novels, but he’s always been equally capable of great lyricism, and his new novella, Time Was, is a persuasive and gorgeous example of it. Essentially a timeslip romance in which the romance is evoked not by dramatic clinches but by a heightened sensuality, an acute awareness of nature, and a haunting sense of imminent loss, it nevertheless introduces enough chatter about quan­tum indeterminacy to work as SF. In a fascinating way, the two “time-crossed lovers,” Ben and Tom, come to represent the dual aesthetic of any good SF romance: Ben is a physicist working on a complex new experiment with his “Uncertainty Squad,” while Tom is a poet and part-time amateur actor who, when we meet him, is working for the Signal Corps. Early on, Ben confesses that he doesn’t have the soul of a poet, and Tom admits he doesn’t “have the soul of a scientist,” but, as McDonald well knows, you need both to tell a story like this. The manner in which he tells it is equally fascinat­ing. Initially, we meet these lovers mostly through letters, occasional photographs, and bits of Tom’s own narration. The main narrator is an antiquarian bookseller who finds an ancient love letter from Tom to Ben in a copy of an anonymous poetry collection called Time Was. 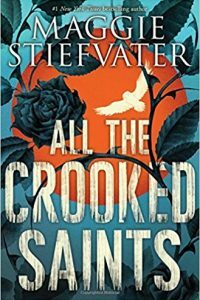 Trying to find clues through a shot-in-the-dark Facebook post, he is contacted by a woman named Thorn, living in the Fens of Lin­colnshire, who has an entire archive inherited from her great-grandfather. When they show some of the photos to an Imperial War Museum archivist with a literally photographic memory, the mystery deepens: not only do Ben and Tom show up in photos from the First World War, they also appear in WWII photos taken 24 years later – barely aged – and even in a much later documentary film of the 1990s Bosnian War. Are they immortals, or time travelers, or even – as one lame suggestion has it – alien abductees? Complicating matters further is a report that they dis­appeared into a mysterious lightning-cloud – which itself had been sighted in other times and places. There’s nothing strikingly original in the SF ideas McDonald presents here, which carry such an X-Files vibe that one of the characters even mentions it, but that’s not really the point. The mechanism by which these two time-unstuck lovers plot to keep in touch, involving a continent-wide network of used bookstores, is both ingenious and romantic in its own way – such bookstores, after all, have historically been among the most stable, unchanging business locations – at least until what the narrator calls our post-literate society. There is a rather surprising and effective twist toward the end of the tale that gives it an added dimension, but long before that it’s a paean to book-collecting detective work, to timeslip traditions of SF, and to the lyrical gay romance at its center (although McDonald pays relatively little attention to the difficulties Ben and Tom must have faced in keeping their relationship secret during a less tolerant era). Mostly, though, it’s one of the most purely beautiful pieces of writing McDonald has given us in years.